Ten years ago this fall I realized a dream come true with a trip to Vienna and a concert at the Golden Hall. So every year at this time I get out my travel journal, put on my CD and relive the magic. And, of course, an exquisite pot of tea is part of my ritual. 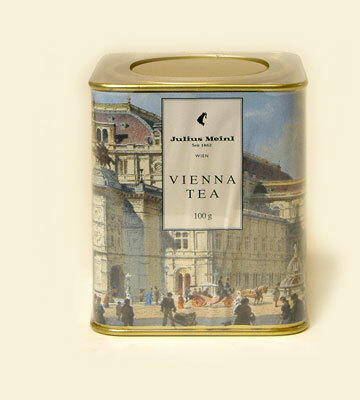 Although Vienna is considered the coffee capital of the world, I have fond memories of enjoying tea in many of the cafes. Always served formally with silver accoutrements, tea choices ranged from black to fruit. Julius Meinl is the oldest coffee roasters in Austria and their store in the heart of Vienna provides three floors of gourmet treats including a cafe for dine in or take out. My tea bud, Diane, and I did a lot of both. A few years ago, Meinl opened their very first venture outside of Vienna in my hometown of Chicago. What a treat to visit the new cafe last month and see their expanded line of loose leaf teas. Vanilla Bourbon, Wild Cherry Black, Royal Green … 51 choices in all. If you venture to Chicago, put this place on your list. 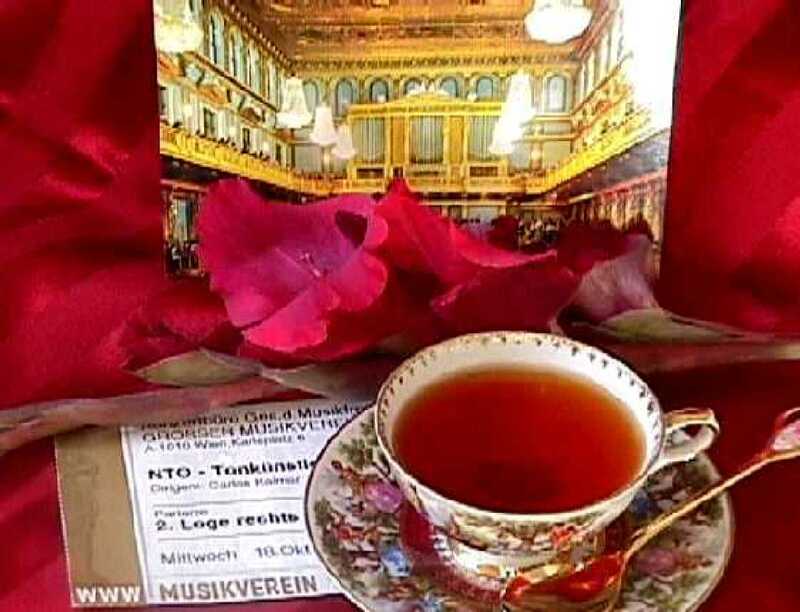 Online tea is limited but the American website does offer their Vienna Opera tea – a black Darjeeling blend with a touch of Bergamot and Jasmine flowers in a lovely tin. Or visit their Vienna site for a taste of Austria.